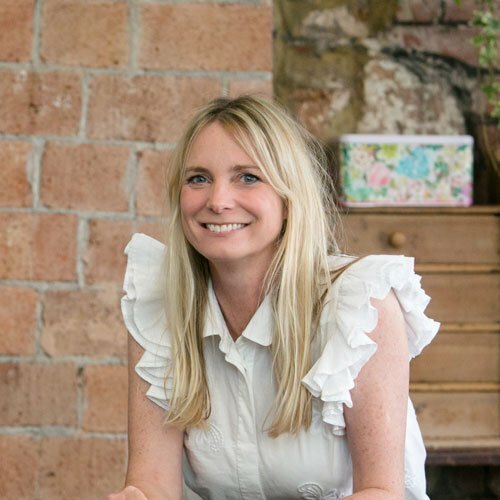 An independent floral designer with nearly twenty years experience, Tilly is based at a workshop in the heart of Bristol. Providing a comprehensive design service for weddings, events and corporate functions. I moved to the South West nearly twenty years ago, having trained as a florist at Paula Pryke Flowers in London. Since then I’ve done everything and anything and worked at pretty much every venue in the area! I’ve created bouquets for intimate weddings and the table displays for the Golden wedding anniversary dinner of HRH Her Majesty the Queen. Along with my great team, I’ve built a successful reputation for providing strong fresh designs as statement pieces for corporate functions, special events and parties. I’ve also worked on hundreds of weddings, creating displays of bouquets and arrangements to bring my clients’ dreams to life and create the wow factor in a way that only flowers can. For the past 16 years I’ve also run a flower shop, firstly on Baldwin Street and more recently in the old Stock Exchange building on St Nicholas Street. In August 2017 I decided to close the shop, to enable me to focus more on my wedding, corporate and event work. I’ve really enjoyed meeting so many lovely customers and making bouquets for delivery around Bristol but it’s time to refocus! With the shop doors closed we have moved into a studio in the same building (!) without the day to day restraints of a shop, enabling me to really look after my event and corporate clients and my weddings. I’d like to say a big thank you to all my shop customers who supported me so loyally for so many years, and have become my friends. I adore flowers and am constantly learning more so that I can offer you something really special, and a style that, like flowers, is evolving with current trends whilst maintaining my own distinctive look. Our flowers are sourced primarily from Holland as, especially through our winter months, we rely on the international market to provide blooms that are not available out of season in the UK. However, living in Somerset I am increasingly sourcing blooms from local growers when possible, to promote seasonality and sustainability.